Shopping for Suicide Squad Stickers? This Suicide Squad decal is perfect for use on car windows, laptops, tablets and more. Made of high quality polyester and then printed, it will look great outdoors or in for a very long time! 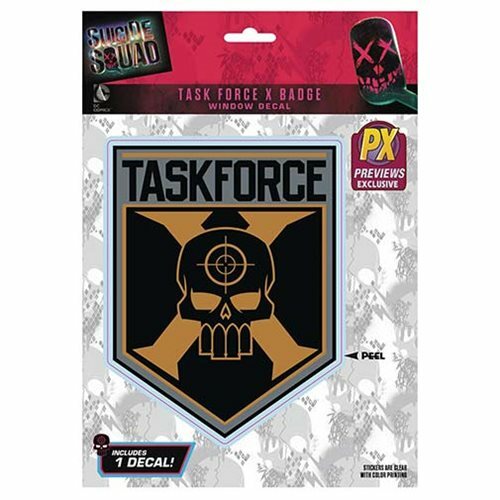 This Decal features the Task Force X Icon Logo.